One of the reasons I tout cooking in small batches of components is because it makes meals super simple and fast. Take for example, this romesco polenta. 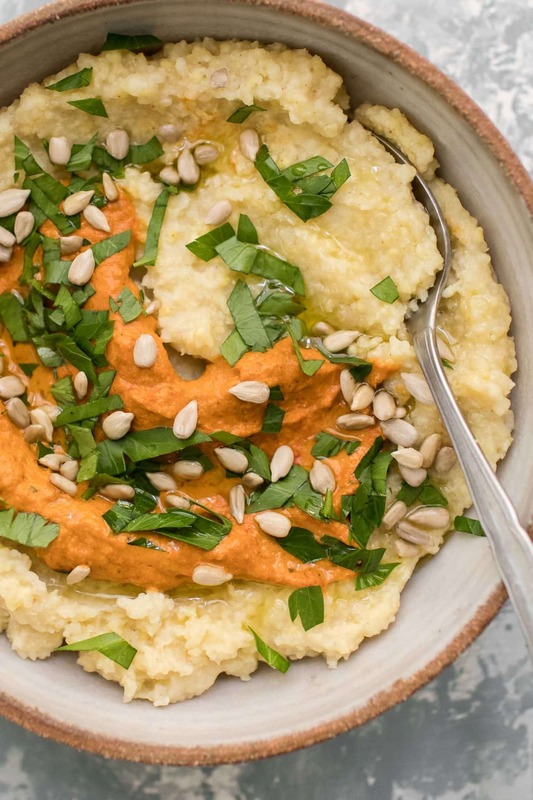 It seems like I always have romesco on hand (it’s a favorite in our house) and this millet polenta is fast to whip up or reheat. Combine the two and it’s an easy lunch or light dinner. This romesco polenta is also the perfect base for adding roasted vegetables and cooked legumes. A few of my favorite ideas include topping the polenta with roasted broccoli/cauliflower, adding crispy chickpeas, or mixing in sweet potato to the polenta. Any way you prepare this, you will come out with a solid comfort meal. The post Millet Polenta with Romesco appeared first on Naturally Ella.